Nura is 12 years old and has been diabetic since she was four. It’s not the first time she has come to the centre and today she is accompanied by her father’s partner. She is one of several chronic patients who are frequently seen at EMERGENCY’s Health Centre in the Ashti IDP Camp. What does it mean to be a patient with a chronic disease? It means that her pathology presents long-lasting symptoms, which need to be monitored and treated for extended periods of time. This is not always easy to achieve in an IDP camp, where thousands of people live and share few resources. “How did you manage the journey with Nura in this condition?”, was our first question. 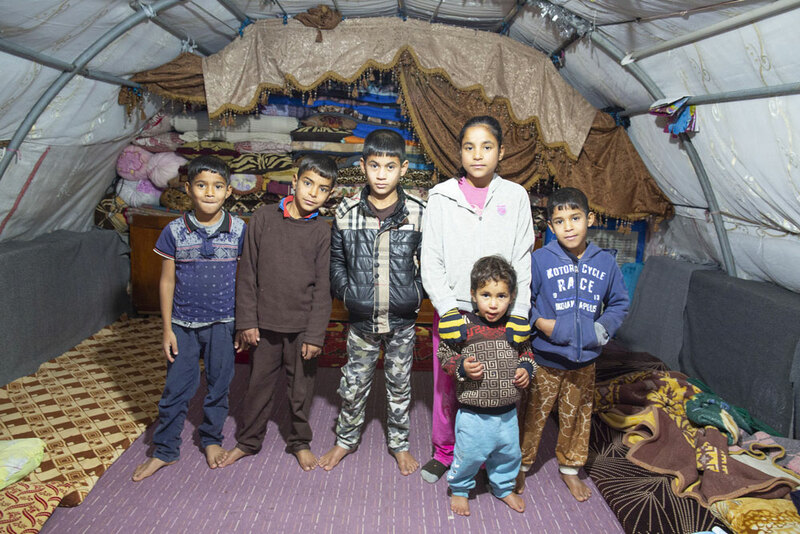 When Nura joined her family at the camp, her health had deteriorated. 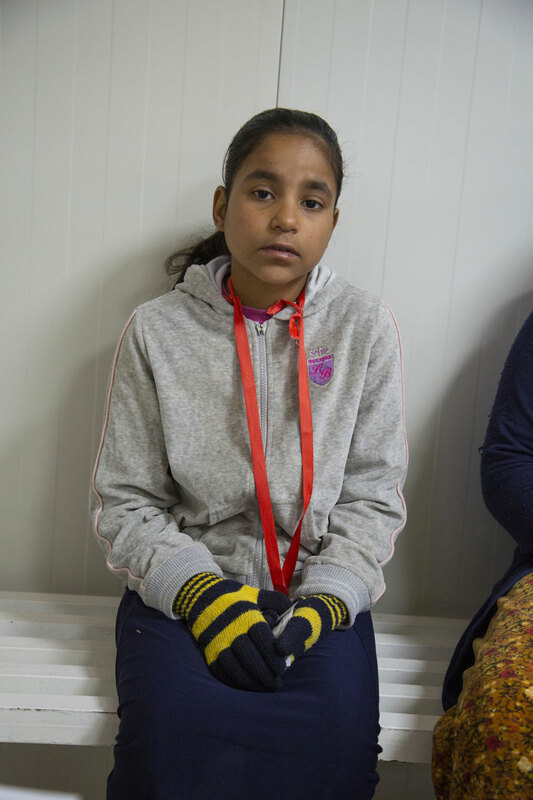 In Khalis, Nura’s prescribed treatment had been interrupted because her medicines had expired and were no longer effective. Now that she has resumed her regular medication, her health has improved. 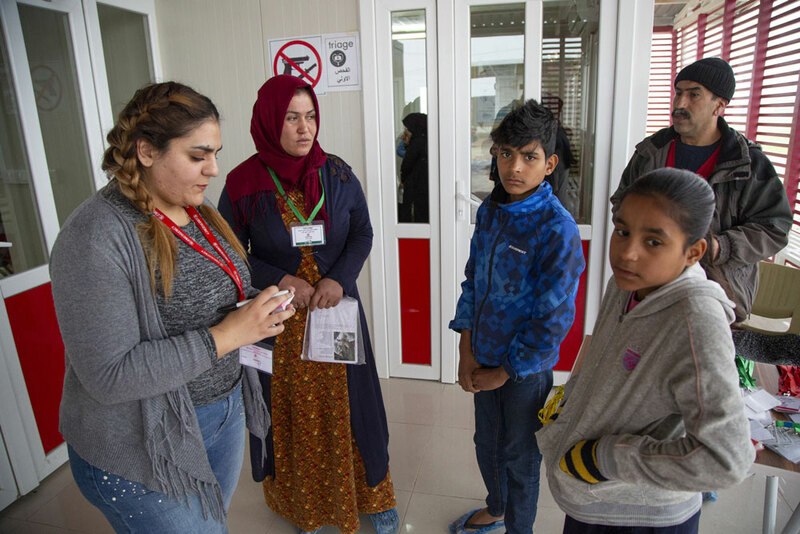 Twice a month, thanks to EMERGENCY’s transfer service, Nura is examined at the Centre for Diabetes in Sulaymaniyah. 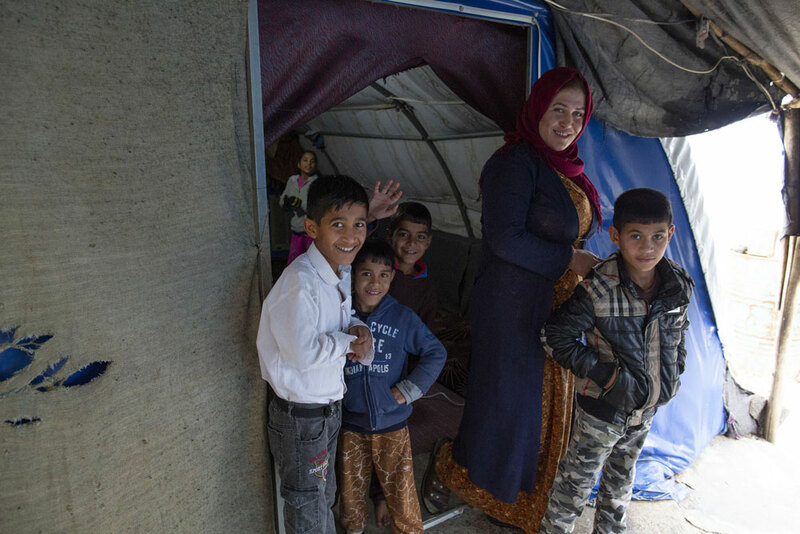 In her father’s partner’s hands are all of Nura’s health documents, carefully updated to reflect her progress. They are kept safe in a plastic folder, meticulously organised and subdivided by year. Among the tarpaulin and brick walls that make up the camp’s houses, colourful signs show us that life in Ashti carries on. Small stores are mostly run by those who used to work in commerce prior to moving to the camp, and who wish to retain their livelihoods. In Ashti, you can buy textiles, electronics, and furniture. You can also buy fruit and vegetables. In attempting to recreate the environs of an ordinary town or city, the camp residents have succeeded in establishing a degree of normality – a luxury that was otherwise stolen from them by war. EMERGENCY’s Ashti Health Centre is funded by EU ‘European Civil Protection and Humanitarian Aid Operations’ (ECHO).